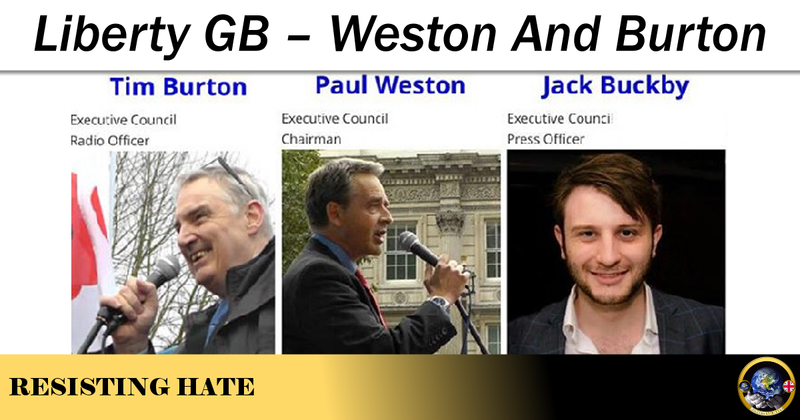 The British Freedom Party were dissolved in December 2012 and this left Weston free to move on to a new venture, that being Liberty GB in March 2013. This group states that it is “Britain’s most outspoken political party” and will address issues that the main parties together, with UKIP fail to tackle. 3. The hijacking of traditional British culture and institutions by left wing progressives. They go on to state that they do not know at this stage whether Britain can be saved. Weston has actually stated that he expects a civil war within the U.K. between the “white working class” and immigrants within the next 20 years. It has to be said at this stage that I do find their immigration policy amusing, along with their complaints about dilution of British culture, especially as Weston not only married a Romanian migrant, but also claims to have worked as a deep sea diver, a pilot in Africa and a property developer in the Czech Republic. Liberty GB went on to stand in the 2014 European elections and fronted 3 candidates in the South East. They (again true to form) got a whopping 2,414 votes, which is a grand total of 0.11% of the votes. This gained them second to last place out of the 15 parties in the election. 1. In April 2014, Paul Weston was arrested when making a speech on the steps of the Guildhall in Winchester. At the time that he was arrested he was reading The River War by Winston Churchill. This had been written by Churchill when he was serving in the British Army in Sudan. Weston had been reading passages which were considered anti-Islamic and had been asked by the police to move from the position. He was given a dispersal order as members of the public had complained. As Weston refused to move, the police arrested him on suspicion of religious & racial harassment. 2. On the 4th May 2014, Tim Burton was in Court as he had called Fiyaz Mughal OBE (from respected anti hate and support group Tell Mama) a “mendacious grievance-mongering taqqiya artist”. He then went on to call him a “scumbag” on Twitter. This was in response to work by Tell Mama who confirmed that anti-Muslim attacks had increased following the death of Lee Rigby. On this occasion the court cleared Burton of the charges when it was taken to Birmingham Magistrates Court but Burton has been recalled to court over fresh allegations of harassing Tell Mama. Following the murder of Jo Cox in 2016, the Conservative, Liberal Democrat and UKIP parties decided to contest her seat in Batley and Spen. Jack Buckby was put forward from Liberty GB to go against the Labour candidate. Jack Buckby had been a member of the youth division of the BNP and had left because the BNP were “too racist”. He got 220 votes, which was a miserable 1.1% of the votes cast. Even now, the group Liberty GB continues to try and cause conflict between Muslims and Non Muslims despite only having an actual membership of around 400 people. 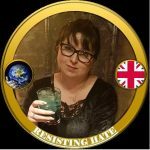 In the same way that Britain First do, they rely on their followers to give them funds to help with court costs when they find themselves in hot water. I do find it interesting that these hate groups don’t seem to be capable of self funding and instead need followers online to put their hands in their pockets. Now, just as a side thing, just so I could be informed (as I know bigots hate that) I looked up Kel Fritz who has been invited to Liberty GB’s latest courtcase as a “leading international light in the world of counter-jihad”. There’s a lot of…..well……nothing really. Mainly the odd mention on Internet radio and debunked news site article – for example, he is mentioned in an article about the massive riots which cut off the centre of Paris, French politicians appeasing all enemies of Israel and Jews, and the allegation that “France has financed hate speech disseminated by the enemies of Israel”. So that’s Kel Fritzl…….unknown outside his small circle of friends who shines a tiny zippo lighter into the darkness and uncovers about the same quality of news as Sean Spicer announces during his press conferences. In a nutshell that is Liberty GB. Essentially, no more patriotic than Britain First, the EDL or Tommy Robinson. They all have the same line of speech, which gets them into hot water as it’s not “free speech” but actually “hate speech”. They should do themselves a favour and think twice before tweeting, speaking, screeching or whatever they do as it would cause a lot less bother. Burton is in jail for religious aggravated harassment of Fiyaz Mugal, the founder of Tell Mama UK. Liberty GB lie that Burton was jailed for criticising Islam and criticism Fiyaz but in reality he sent menacing emails to Fiyaz as well as harassed him on Twitter with calls to deport all Muslims. 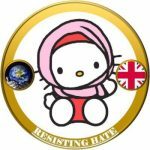 Liberty GB are a scum Nazi group who call for the ejection of all Muslims from the West and should be classified as a hate group. Burton was just sending drunken joke emails to Tell Mama (no idea about Twitter), but bad enough all the same. Lesson (hopefully learned): Do not fire off emails after drinking all night. Burton was involved in a campaign of targeted harassment for which he correctly received a prison sentence.